Fairfield Prep boys' swimming and diving coach Rick Hutchinson might have what he calls "the youngest varsity lineup in several years" but he does have one key swimmer who will be the cornerstone of everything the Jesuits do this season. Senior Bryce Keblish, who was named to the All-Southern Connecticut Conference team, the All-CIAC team and was tabbed as an All-American in both the 200-yard individual medley and 100-yard butterfly events last season, is back to led Prep -- who finished second in both the Class LL and State Open meets last season and was a perfect 6-0 in SCC competitions. However, repeating those achievements could be difficult as Prep graduated 21 swimmers, leaving Hutchinson looking to replace several spots. "Inexperience," wrote Hutchinson when asked about a potential weakness this season. "After graduating a large and talented senior class that carried the load for several years, we will have many new faces in the starting lineup. A small but talented group of seniors will look for depth from the freshmen and sophomore classes." Along with Keblish, seniors Alejandro Ramos (100 backstroke), Robert McCrory (diving), Jackson Rotondo (diving) and Michael Connelly (diving) return, as does junior Guido Balderamma -- All-SCC and All-CIAC last season (100 backstroke, 100 butterfly) -- and Michael Riina (500 freestyle). "The SCC is deeper and more competitive this season," Hutchinson wrote. 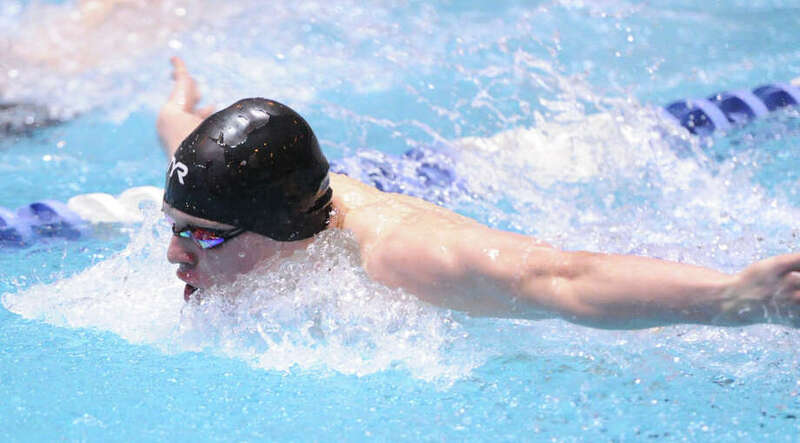 "But Bryce is one of the top swimmers in Connecticut and we have three veteran divers and a eager group of underclassmen. Our teams will be a fun and exciting mix of veterans and underclassmen who are anxious to prove themselves." Prep will take on Notre Dame-West Haven on Tuesday, January 6 at 4 p.m. at the Fairfield University Rec Plex pool. New coach Dan Romaniello takes over for the Warde-Ludlowe co-op program, looking to improve on last season's 3-7 finish. "This is a new and exciting year for all of us and we're looking to give it our all individually and as a team each and ever meet," Romaniello wrote to the Citizen. "Keeping everyone healthy, since we are a small team in important and he have to hold onto our positive attitudes." Peter Berens and Anthony Johansen will be captains this season and Gabriel Bay is another swimmer that Romaniello is expecting big things from this season. "We have a strong team chemistry this year," Romaniello wrote. "We've gained three new freshmen with great attitudes. We will have a strong team in the 200-yard freestyle relay and everyone will swim everything to try and earn a point wherever we can." Warde-Ludlowe finished 1-4 in the FCIAC last season and placed 21st in the State Open meet.